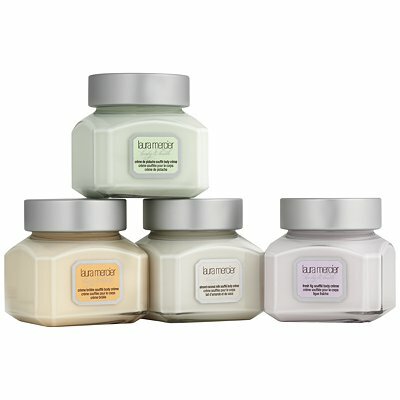 I definitely wouldn't be disappointed to find Laura Mercier's Souffle Body Creme Sampler Set under the tree on Christmas morning. The set contains whipped body moisturisers in Creme Brulee, Almond Coconut Milk, Creme de Pistache and Fresh Fig. I've loved Philosophy's foodie theme ranges for years﻿. Admittedly, they're not the best choice for those who prefer natural products but they're certainly fun. 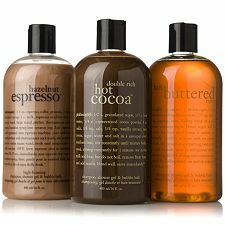 Try the Warm & Toasty set which contains body washes in Hot Cocoa, Hazelnut Espresso and Hot Buttered Rum. Mmm, my mouth is watering just thinking about it. 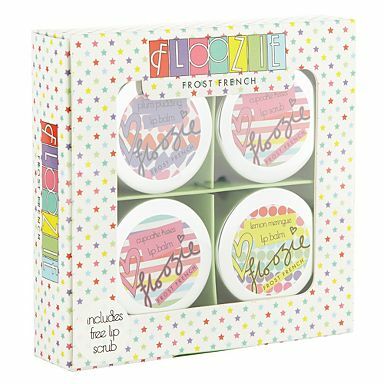 For a wallet friendly gift, check out Floozie by Frost French at Debenhams' Lip Balm Gift Set. For less than £10, the cute set contains a Cupcake Kisses Lip Balm, a Lemon Meringue Lip Balm, a suitably festive Plum Pudding Lip Balm and a Cupcake Kisses Lip Scrub. I've tried the scrub and although it's rather synthetic in feel, it's effective.